Don’t let sea sickness stop you seeing the Great Barrier Reef. During our trip to Hamilton Island in Queensland, we realised that my wife wasn’t a fan of being sea sick, who would have guessed? This meant our planned trip to the Great Barrier Reef was off. Unless of course we could fly there, or more specifically, fly over it! 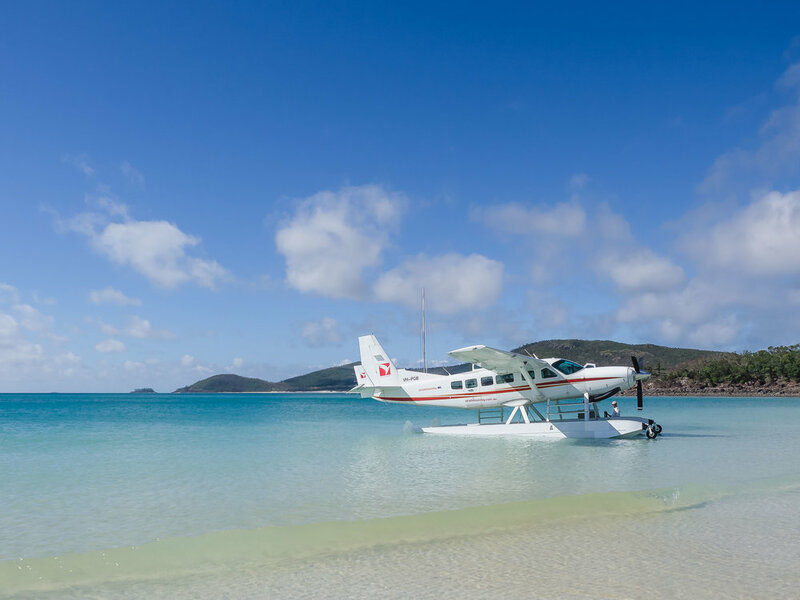 A tour company on the island was offering trips by Seaplane to Whitehaven beach for a picnic with a flight over the Great Barrier Reef too. Flight in a seaplane? Picnic on Whitehaven Beach? I didn’t need to be asked twice! The trip was fantastic from start to finish. We were collected from the hotel and dropped off there afterwards. Our pilot was very friendly and pointed out the various interesting sights as we flew over them. I love flying and used to fly gliders in the UK Air Training Corp, so this was a great experience combining photography and flying in one trip. My wife and I were taking videos and photographs throughout the flight, clearly enjoying ourselves but the couple sat behind us actually fell asleep for most of it - who would pay that money then sleep?! Crazy! Landing right next to Whitehaven beach in a Seaplane. What an experience. The picnic on Whitehaven Beach was amazing. Landing parallel to the shoreline and wading, James Bond style, through the warm water onto the beach to be treated to a bottle of sparkling wine. What an experience. We could have sat there for hours but I was also itching to see the reef. You can actually fly just to the beach if you don’t fancy seeing the reef by Seaplane - we however packed up our things after an hour and got back into the plane for a water take-off. Fantastic, clear water by the white sand at Whitehaven. So, the reef. The Great Barrier Reef. I’ll let the images speak for themselves but let me summarise by saying that it was incredible. Easily the best experience of the holiday, of any holiday. The Heart Reef, the water hitting the corals, flying low over the trench/river. I couldn’t stop taking pictures and videos and I doubt I did it justice. I can highly recommend this tour if you ever visit Hamilton Island.